Before we start, allow me to explain a bit of a background about myself. I was born in 1986, which means my parents had the chance to introduce an analogue camera to me: a Fuji. I remember bringing it to camping trips and family gatherings, taking pictures of sceneries, people and places. However, did it leave a special moment in me? No, nothing at all. I did not have the story like other photographers where they remember how their parents gave them their first camera or the feeling of pressing the shutter and not knowing what the image would look like and the waiting game, where they send your exposed films to the labs and wait for them to be printed or in some case, they themselves are the ones who developed and printed the film. I fortunately did not remember any of those nostalgic feeling and it’s not that I did not love shooting with it – in fact I do love shooting with it, but when digital photography came, it just felt natural for me to move forward and accept those technological advances. I know a great deal of my friends still had their heart on analogue photography, and some great photographers are stating how shooting with an analogue camera is the “real” photography. On this occasion I would like to differ by stating that as much as I agree that analogue is far more superior to digital, I am a firm believer that the instrument does not dictate the end results. Saying that you make better picture with an analogue camera is like saying that you make better cook if you use a certain type of pot or wok. For me it boils down to what you have created with your tools and what you could achieve with it, plus I can have an analogue workflow while using a digital camera. Anyhow, let’s go back to the camera or should I say cameras. We all know the fundamental principle of these instruments is to capture a scene. Their forms and extended functions however have changed dramatically from the past – the camera is no longer a simple box. It could be shaped like a pair of glasses, it can be used to make phone calls or like what I am doing right now, the camera can be used to type these sentences onto the screen. However, the most important evolution of the camera to date is about its extended functions, where it has become not only a tool to capture image but also a tool to edit and to publish photographs. 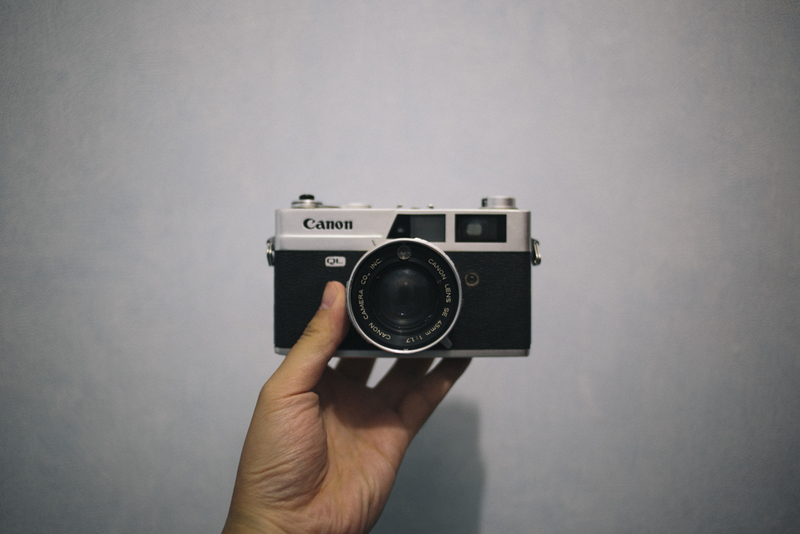 The evolution is not without its problems, though, because the photograph being presented with the modern cameras are the ones that are often candid, playful, instant and most importantly, easily replaceable. The decisive moment these days was not about where the entire element in the picture fit together to create the elements of surrealism, but more towards when and how the image should be published to create the most impact upon the viewer. The photographs produced by this modern camera also defy the norm. In the past vernacular photographs like your family vacation existed in the physical form kept in a book or albums, which were only shown to the people who visited your house or whom you wanted to show the photographs to. Now private moments are being exposed to the whole wide world, where everybody could literally see what are you eating at this very moment or be at the scene where your grandma is being put into a coffin. The modern camera has not only allowed the intrusion of the very private space of people that was being safeguarded in the past, but it has also being used as an medium to convey information in a rapid and successive manner. That being said is it really applicable on this day to say that the camera is merely an instrument to record moments or ideas at the very least? I’d say no because from what I have seen the modern camera has allowed photographers to do the most outrageous things in the history of photography. It had dictated (and done so successfully) the photography landscape by altering the norms and the expectations from the photographer, the viewer and the subject of the photographs. As the camera will continually evolve, I would say I am looking forward to the technological advances of the future camera and how photographers would use that technology to further alter the landscape of photography.